I have spent most of my adult life trying to find physical balance. The balance I truly want is the balance that allows me to enjoy good, healthy food with occasional indulgences, while always feeling in control, engaged, and inspired. I want to avoid feeling out of control, apathetic, and bored with my nutrition. I have learned SO MUCH about myself through my research over the years, and this past year I learned a lot about great nutrition through Whole30, but there was still something missing. Today, I learned what that “something” is. What I learned today wasn’t new to me. These things were just mixed up among all of the other noise out there in the health and diet industry. It was the order that they come in my life that brought balance to me at a time when I felt out of control, apathetic, and bored with nutrition. The type of out of control that I used to be is much different than recently. During Whole30, I had TOTAL control over my nutrition, but I did finally reach a point where I got apathetic and BORED! I believe changing my recipes and adding more of a Paleo perspective would have helped, but that’s where the apathetic part comes in. I was so bored I honestly just DIDN’T CARE. I didn’t want to eat anything. Nothing was appealing to me. I was just….BORED. Of course there are a number of problems with being in that state. I gained some of my weight back, fortunately, not lots, but still the scale is going in the wrong direction. My nutrition has suffered because I didn’t stick to Whole30 this time (I honestly just couldn’t even think of some of the food I was used to eating–as good as it is). The food we allowed ourselves to eat which was fast food wasn’t good, and I was miserable. I told my friend Crystal, I honestly just don’t want to eat. I physically was feeling terrible. I wanted to find my good nutrition again. I had a problem getting that train back on the track. I realized that my apathy was in great part because of staying up too late, sleeping too late and not getting my green breakfast smoothie. I know that may sound overly simplistic, but guess what, I think it really is that easy. I identified my TOP 3 things that keep me on track. While my nutrition plan may vary from time to time, if I want to be the best nutritional me that I can be, then I MUST do these 3 things. 1. Go to bed by 10 p.m. each night, including weekends. 2. Get up with my alarm at 5 a.m., including weekends. 3. 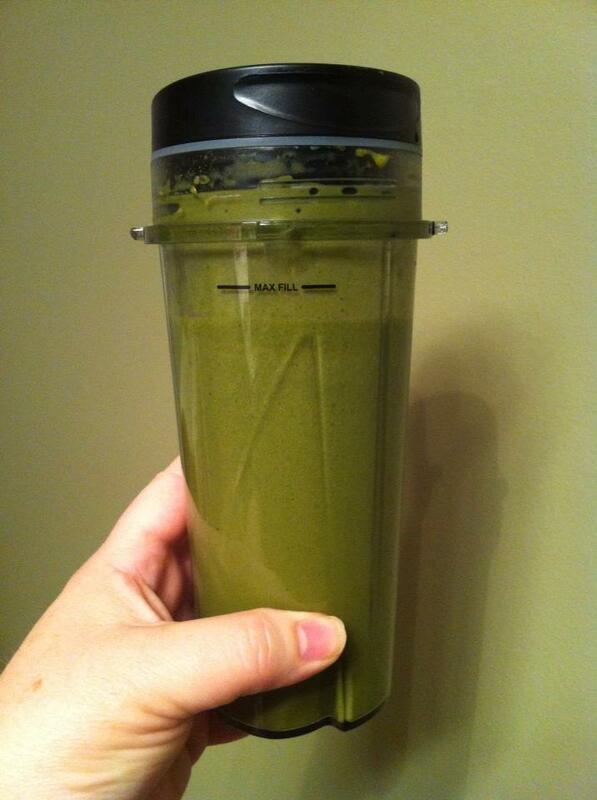 Drink my green smoothie after waking. After doing these 3 things, I cleaned the kitchen, made a healthy lunch, and started getting everything ready for my day. I got Eli up and ready and got to work on time. If number 1 is off, then number 2 isn’t going to happen. If number 2 doesn’t happen, then number 3 doesn’t happen because I’m too pushed. If number 3 doesn’t happen, I end up picking up fast food for breakfast, and even though I know that one bad meal doesn’t ruin my efforts for the whole day, I allow it to. So, there it is. My Top 3 to Always Be Me! What are your top 3? If you don’t know what they are, I understand your frustration. There is so much noise in the health and diet industry. You really just have to get away from it all and pay attention to how your body responds to every decision you make. Those that are negative–ditch them, and those that are positive — document them. How do they impact you? What do they help you do? Eventually, you’ll find the critical 3 that you can ALWAYS go to when you need a restart. I’m so glad I found mine. Share your TOP 3 with us. This blog post is in response to a question I received from Kayla commenting on, “Fresh Start.” Kayla asked if I Whole30 alone, or if my husband Whole30s with me. Let me start by saying, this is one of the great things about blogging. Meeting new people and helping to encourage them throughout their journey. As we’ll see through this post, you may do some things alone, but with others out there doing the same, you’re never really alone. Thank you Kayla for reaching out to me. I’m looking forward to our journey together. The short and long of it…no, my husband didn’t join me on my first round. He did attempt, but after a couple of days, he said it just wasn’t for him. I completed the Whole30 and felt so good that I told EVERYONE about my experience. He decided he wanted to experience what I had, so he joined me Jan 1, 2015 for what turned out to be a Whole120. We started out with 30 days planning to complete at least 90, but continued on to 120 days. I must say, the experience was totally different with him making the changes with me. Much DIFFERENT. I truly believe that everyone should take the journey at least once, alone. You really learn a lot about yourself during the process. You learn a lot about how you feel about the new foods your body is falling in love with. The first week was a little tough. Remember, your body is addicted to things like sugar, so it has a lot of adjusting to do. After week one, you’re home free. You’ll battle a little food boredom in week 3, but nothing bad. There are groups on FB you can join that share recipes. There are apps you can get for your phone like Nom Nom Paleo (LOVE IT). Not to mention the bookoos of blog posts, Pinterest pins, and Instagram photos. My advice on encouraging the family to join in is to live your Whole30 experience daily in front of them. I’m the cook in my family, so what mama cooks everybody eats. My family loves food, so there weren’t a lot of things off limits. After 30 days of eating clean (even though not Whole30 for him), my husband benefited from my Whole30 experience. He had lost a little weight, and he was feeling much better. We got off track in December around the holidays, so it became really obvious what we were missing, and he was totally ready to join me. January 2015, Jeff joined me for the complete Whole30, and now, he is saying things that I was saying a lot. Things like: I can’t believe how much of the grocery store I don’t even shop in. I can’t believe I ever liked ____. I had no idea how many things include sugar that you would NEVER think had sugar in it–like chicken stock. What the what? It’s in practically EVERYTHING, which made me ask the question, if sugar wasn’t in it, would we want to eat it? June 1st started another official round of Whole30 for us. We ate Whole30ish and then more ish than Whole30, so it became more of Whish. 🙂 I was hurting in my stomach. I was bloated and had unbelievable gas constantly. My stomach STAYED messed up. Now, day 3 of Whole30, all of that is gone! I truly stop and ask myself, why, why, why do I ever eat anything else? I’m still gathering intel on that one. My life is like one big experiment for me. I’m constantly gathering information to see what I can learn about what I am doing or going through. Be sure to pay attention to those things in your life, too. It is invaluable information. If by chance you have a family that just WILL NOT join you, and you’re not wanting the tough love route of “then cook for yourself,” it’s a challenge, but it isn’t impossible. Cook what you can have. Let them take care of the rest. Share with your friends about it and get at least one of them to be as committed to it as you are or at least as committed to encouraging you. My friend Crystal is that. She doesn’t Whole30, but she knows it is what works best for me, and she encourages me to stick with it or if I’m off plan and not feeling well, she’ll tell me, you know what works for you–do it. Again, there are groups online like the main Whole30 page where there is constantly new information being shared. There are FB groups of individuals supporting each other. One word of caution: as with any program, there are snobs. Ignore them. There are people who will want to chime in about how you could be eating MORE Whole30 than you are, or how something you picked to eat may not be compliant. BIG DEAL. Don’t get me wrong, it is important for your FIRST Whole30 to be completely compliant. You need that, but after that point, you’ll want to continue. You will feel so good that you’ll refer to the way you eat as Whole30, but it obviously doesn’t have to be compliant. Your research is over at that point. You will add food back that doesn’t bother you or sabotage your behavior. 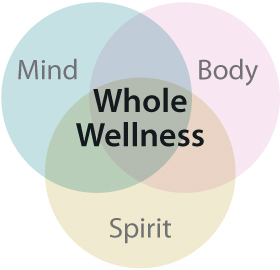 While Paleo is the foundation of the Whole30 program, I choose to live closer to Whole30 than to Paleo. It’s nice to have a name for it, so I refer to it as my Whole30Life when I am not doing an official round of it. So the final take aways from this post: Try Whole30 at least once. Be completely compliant. If you choose to Whole30Life, don’t fret the snobs. Find a buddy who supports your goals. If you still find yourself alone, you find me online. I do have an online group you’re welcome to join if you’re looking for a private support group online. You can do it. I had a lot of really strong food addictions and negative behaviors. If I can do it, YOU CAN DO IT. I’m happy to help. I’ll be your Whole30 consultant. 😉 Do it for you! You won’t be sorry! !